Do you require functionality to solve a unique business problem or to perform a task more efficiently? Based on your detailed brief we can provide an effective solution relevant to your business. From CRM systems for small businesses to scalable customer service knowledge bases. Whatever project you have in mind our team can advise on the most effective solution. 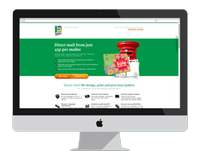 Our development team can customise your existing website to optimise it or add extra functionality. Please contact us today to discuss your web development needs.